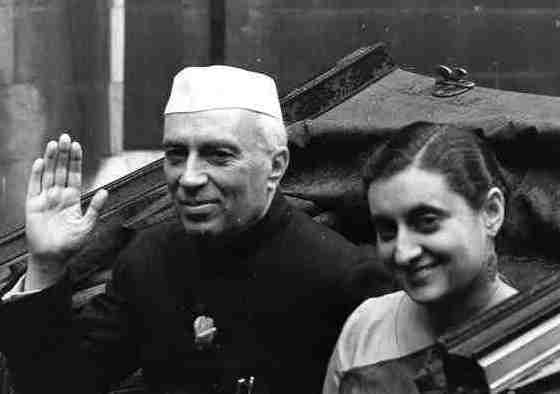 In this 1956 photo the First Prime Minister of India, Jawaharlal Nehru is seen with his daughter Indira Priyadarshini who later became the Third Prime Minister of India. Nehru blinked while Communist China gobbled Tibet. To add insult to this injury, India had also signed a treaty with Communist China ignoring the act of its military aggression. 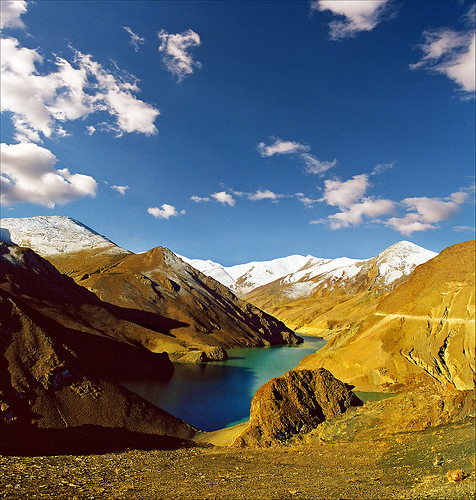 India came to its senses after China’s brutal invasion of its Himalayan frontier in 1962. The word ‘gobble’ describes the characteristic throaty sound made by a male turkey bird. It also describes the act of swallowing as in eating quickly and greedily. Tibet was snatched up, eagerly seized by Communist China while India and other members of international community blinked, ignored, and condoned a blatant act of military aggression. Very often, people blame Tibetans for their own misfortune. They describe as to how Tibet chose to ignore its external relationships and had remained isolated without seeking help for timely foreign intervention. However, to deal with the menace posed by Communist China, most countries including India, and the United States of America are willing to use Tibetans as their pawns in the chaotic game of international diplomacy. I agree that Tibetans have miscalculated the threat posed by Communist China and did not seek help to contain Communist Expansion. Even if that threat had not existed, it would be prudent to seek friendly relations with other nations to promote international understanding and harmony. 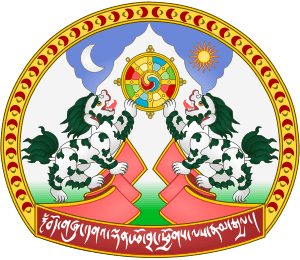 If Tibetans had failed themselves and did not defend their vital national interests, I am unwilling to punish them for this lapse or lack of vision. Freedom is their natural right and military occupation of the Land of Tibet is a violation. The military action of Communist China is unjust and cannot be sanctified under International Law. I would ask readers to view the problem of Tibet with feelings of sympathy and understanding. We can get together, we can act together, and we can collectively challenge the military power of Communist China. Tibet is not asking for separation from Peoples’ Republic of China. Tibet wants to exist in its natural state or condition called Freedom. The fact of military occupation is unnatural and illegal and must be changed. I am pleased to share this article titled ‘Remembering India’s Capitulation on Tibet’ written by Ajai Shukla in Business Standard. Kindly review the same. Branch: Army Medical Corps/Short Service Regular Commission & Direct Permanent Commission(1969-1984); Unit: Headquarters Establishment Number. 22, C/O 56 APO. Designation: Medical Officer(1971-1974). Organization: Special Frontier Force. An article in The New York Times last Saturday speculated that Beijing would try to legitimise its hand-selected (and therefore illegitimate) Panchen Lama, Gyaltsen Norbu, by sending him to study in the Labrang Monastery in Xiahe at the somewhat advanced age of 21. Xiahe is in China’s Gansu province, but in the Amdo region of traditional Tibet, which the communists carved up between five Chinese provinces bordering the Tibetan Autonomous Region (TAR). Gyaltsen Norbu badly needs the credibility of Labrang Monastery; he was declared the 11th Panchen Lama by Chinese authorities, six months after they arrested the 11-year-old Gedhun Choekyi Nyima, who had been declared the 11th Panchen Lama by the Dalai Lama in Dharamsala, following traditional Tibetan practice. Most Tibetans believe Gedhun Choekyi Nyima (often called “the youngest political prisoner in the world”) is the legitimate 11th Panchen Lama, while Gyaltsen Norbu is disparaged as “the Chinese Panchen Lama”. This typically clumsy Chinese manoeuvre is a mere sideshow to the big story in Tibet, which is a six-month long security lockdown that has gone largely unreported in the world press. The lockdown, which has involved mass repression of Tibetans and hundreds of preventive arrests, was triggered by Beijing’s determination to celebrate the 60th anniversary of the “peaceful liberation of Tibet”, which took the form of the 17-Point Agreement (full form: Agreement of the Central People’s Government and the Local Government of Tibet on Measures for the Peaceful Liberation of Tibet). The 17-Point Agreement, through which Lhasa bowed to Beijing’s sovereignty on May 23, 1951, was India’s capitulation more than Tibet’s. After the People’s Liberation Army (PLA) marched into Tibet in October 1950 and destroyed the Tibetan army, India’s army chief, General (later Field Marshall) K M Cariappa declared that India could spare no more than a battalion (800 men) to block the Chinese invasion alongside the Tibetans. Then New Delhi refused to back Lhasa’s request for the United Nations to adopt a resolution against the Communist invasion. With global attention focused on the Korean War, and with India hoping to mediate between China and the US-led coalition, India feared that sponsoring Tibet’s reference to the UN would damage its leverage with China. And with Washington and London allowing New Delhi to take the lead on this issue (India, after all, was most affected by events in Tibet) China was allowed to subjugate Tibet unopposed. New Delhi’s submissiveness obtained even less for India than it did for Tibet. The first words of the first clause of the 17-Point Agreement (“The Tibetan people shall unite and drive out imperialist aggressive forces from Tibet”) directly targeted India. New Delhi was the “imperialist” force that maintained – continuing British practice since 1903 – a military garrison in Gyantse, Tibet, across the Himalayas from Sikkim. Three years later, India formalised its capitulation to Beijing. The Panchsheel Agreement of 1954, which recognised Chinese sovereignty over Tibet, bound India to withdraw its entire presence from Tibet. Some of the ground ceded in that diplomatic blunder has been gradually clawed back by India. This began in 1959, when India granted refuge to the Dalai Lama and permitted the setting up of a Tibetan government-in-exile. Tens of thousands of Tibetan refugees who have trickled in over the years and continue to do so even today have set up a support base for an alternative government to the Beijing-dominated one in Lhasa. Hundreds of Tibetan monks have been allowed to set up an ecclesiastical ecosystem, central to Tibetan politico-religious belief, which parallels the Tibetan system that they left behind. In and around Bangalore and Mysore are the mirror images of the mighty monasteries – Sera, Ganden and Drebung – that were smashed during China’s “democratic reforms” and the Cultural Revolution in the 1960s. Not least, India retains a core of Tibetan fighting capability in the secretive Establishment 22, manned by Tibetan volunteers who would be more than happy to be unleashed against the Chinese in their homeland. These steps, though, are just enough to annoy China without doing what would be necessary to seriously worry Beijing. India’s reluctance to flash its teeth, and to instead keep reassuring Beijing that the Tibetan exiles are on tight leash, does little to keep alive the sense of hope that Tibetans here need for continuing their fight. New Delhi’s willingness to carry out preventive arrests of Tibetans on the eve of Chinese visits creates apprehension that India can be pressured in the same way as Nepal, which China pressures into brutal police repression of Tibetan exiles. Nor has Tibet’s global icon, the Dalai Lama, struck any strategic notes in his quest for international support. Brushed off by New Delhi like a distant relative who has stayed too long, and avoided by foreign leaders as a political minefield, His Holiness has been reduced to engagement with second-rung celebrities like Richard Gere and support from dodgy divas like Paris Hilton and Sharon Stone. His marginalisation has been carefully orchestrated by Beijing, which reacts ferociously whenever any head of government proposes to meet the Dalai Lama. And when anyone risks Beijing’s ire, as President Obama did in meeting the Dalai Lama last month, the conversation always begins with a careful public repudiation of Tibetan independence. Sadly, India, despite all the levers it holds in Tibet, follows that same cautious path. The hopelessness that has seeped through the Tibetan exile community in India manifests itself in a growing rejection of the Dalai Lama’s “Middle Path”, which involves a non-violent engagement with Beijing about Tibetan autonomy rather than independence. India’s many angry Tibetan youngsters are held back for now by their enormous respect for the 14th Dalai Lama, but his passing on will create a problem for China that will be far more potent than the legitimacy of the 11th Panchen Lama. If New Delhi looks ahead and calibrates its response inventively, it may go some way towards recreating the leverage in Tibet that it lost in the 1950s. Pingback: IN CELEBRATION OF THE FULL MOON DAY | Bhavanajagat. Pingback: THE LIVING TIBETAN SPIRITS – TIBETAN CONSCIOUSNESS MOVEMENT | Bhavanajagat. Pingback: THE LAND OF RISING SUN – TIBETAN SPIRITS OF MY CONSCIOUSNESS | Bhavanajagat. Pingback: THE UNITED STATES-TIBET RELATIONS | Bhavanajagat.